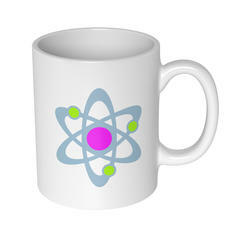 Silver necklace with geeky atom model pendant. 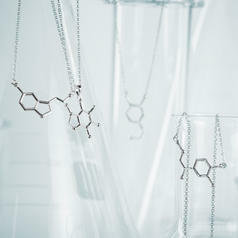 Necklace with lithium atom as pendant: Made of 925 Silver. 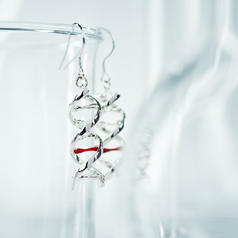 Do you already know our DNA Earrings and Molecule Necklaces? 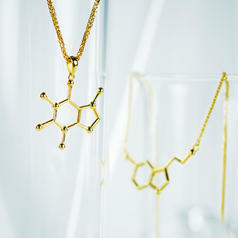 If you like colours, we've the Atom Necklace from our Geek Gem line. 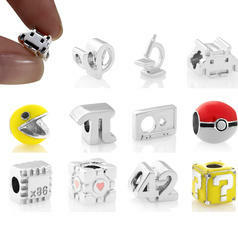 Both the chain and the pendant are made of 925 silver and therefore durable. 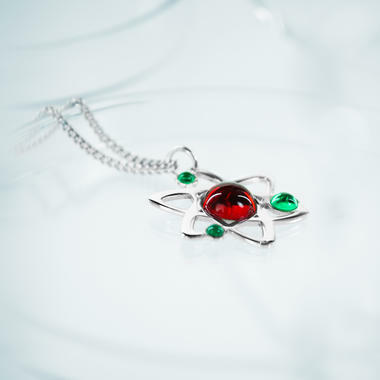 The pendant makes the world more colourful: the nucleus is red, the electrons are green. 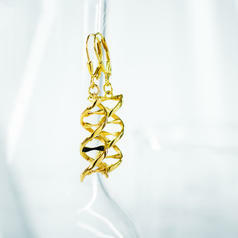 The pendant is 3cm, the necklace 45cm long. 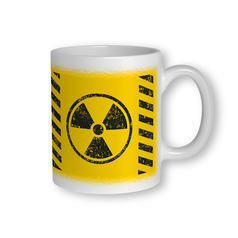 That means the atom should hang under the collarbone, although it can be extended a little bit if you want. We chose a more dynamic design, rather than an over-schematic presentation of a lithium atom. Sitcom junkies will feel reminded of some cut scenes. 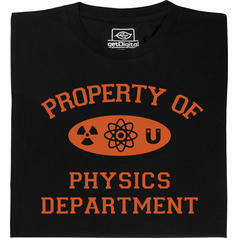 ;) You can nearly see how the electrons are spinning! 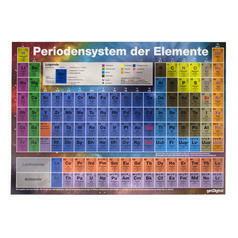 vanaf 1,45 € lade... Geek Pin Atom Model The building blocks of the universe. 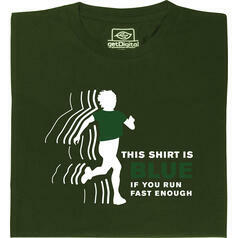 vanaf 19,95 € lade... Fair Geekwear This Shirt Is Blue T-Shirt Als je snel genoeg loopt, dan kan dit t-shirt blauw zijn. 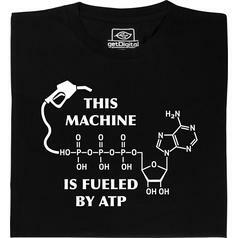 vanaf 19,95 € lade... Fair Geekwear ATP T-Shirt Just like machines, your body needs energy: the molecule ATP on this shirt works as fuel for your cells.